The AHEPPP Board of Directors met in Atlanta, GA in early 2015 to develop the first strategic plan for the association. During the planning retreat, the Board committed to the principles of knowledge-based association governance articulated in The Will to Govern Well: Knowledge Trust and Nimbleness (Tecker, Meyer, Crouch, & Wintz, 2010). 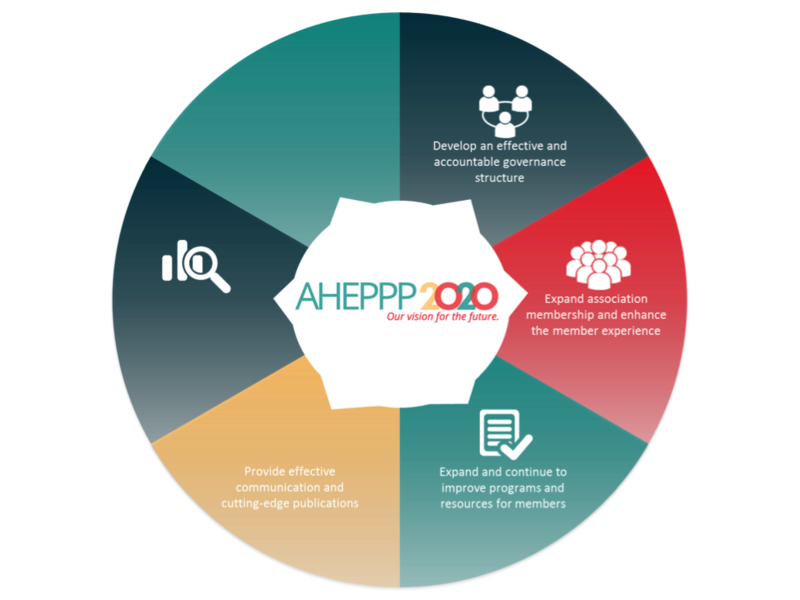 The AHEPPP2020 Strategic Plan was approved by the Board of Directors on October 21, 2015 and unveiled at our National Conference in Savannah, Georgia. The plan features and outlines our mission, vision, values, and five-year goals -- organized categorically. We invite all members to engage as AHEPPP works to execute this plan through a series of strategic objectives. The mission of the Association of Higher Education Parent/Family Program Professionals is to support professionals in higher education who promote student success through informed parent and family engagement. The Association of Higher Education Parent/Family Program Professionals will be widely recognized as the leading experts for parent and family engagement in higher education.